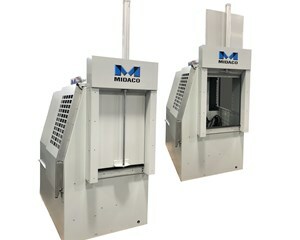 MIDACO offers Automatic Door Systems for your vertical machining centers, turning centers, robotic applications or other machinery. Not only does it save time in production, but this system also improves ergonomics by eliminating manual door opening tasks. 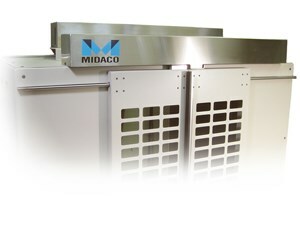 The Auto Door System uses an air cylinder to operate the door by using either a Manual Push Button or the Automatic “Smart System” can be interfaced with the machine’s or robot's control. These systems are furnished with a door mounted safety stop that will quickly exhaust air if any obstruction is encountered during door closure, and the “Open Door” commands are ignored if spindle or chuck is running*. 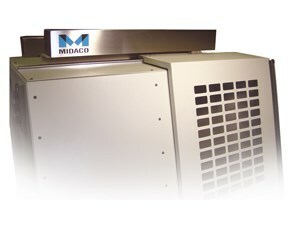 The Auto Door System is one step in automating your machinery to get more parts out the door.